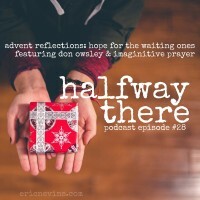 Advent is a season of waiting, expectation, and most of all hope. 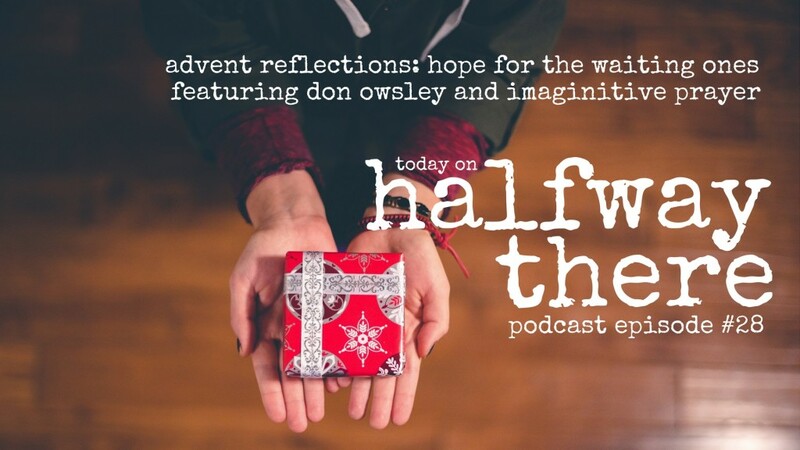 Today, we take a break from the usual format to explore those themes with Don Owsley and talk about the life of Simeon (Luke 2:22-35). We also spend some time in imaginative prayer to help us experience the hope from the perspective of Zechariah. If you’re looking for a way to experience the story of Christmas in a way you never have before, be sure to listen and share this one with a friend. Also, pick up Don’s book Thanksliving at Amazon today and let him know you heard it about it on Halfway There!